Day 2 of Grand Prix Mexico was just as wild as the first. There were tons of ups and tons of downs—just ask Sam Black who went through all of them himself (more on that further down). Guilds of Ravnica Draft offers vastly distinct archetypes with differing styles of play, and the freedom off the fixing allows you to hybridize in your style. There were many moments this weekend, here are the ones that stood out the most. Often at smaller, non- Grand Prix events, especially in Latin America, there is a small contingent of pros that tend to congregate towards the top of the standings. These pods usually include a couple local players and then a swath of Magic sharks swarming and biting voraciously. This weekend was no different—and it went through the entire Top 8. Day 2 of #GPMex is underway! Sam Black, Steve Rubin, Carlos Pal, Martin Juza, Chapman Sim, Juan Jose Valladares Grimaldo, Mark Jacobson, and Francisco Sifuentes. Wow. The #GPMex Draft 2 Pod 1 is somehow crazier than the first:@chapmansim, @RubinZoo, @Amaz, @Corey_Burkhart, @Jaberwocki, @markjmtg, @fransifper, and Fernando Juarez! The Top 8 of #GPMex is set! The eight spots at the top of the rankings all weekend were tremendous, challenging, and scary. Jason Chan, the content creator known as “Amaz," has been a huge fan of Magic for a while but hadn't quite pushed through. He was holding his own at Pro Tour events and lost a win-and-in and Grand Prix Sydney (the irony being he actually beat Yuuya Watanabe that round, but the rest of his team did not win). So to a few cynics Chan's interest and skill were lower than his “fame status." But boy did he prove those haters wrong this weekend. He got off to a rocky start, and limped into Day 2 needing to 5-0 through two insane draft pods to have a shot—and that's exactly what he did. Though Chan's Boros deck only took him to the semifinals this weekend, there is plenty on the horizon for the Youtuber, and it's exciting to watch him succeed! Years back, Carlos Pal was a regular on the Grand Prix grind. A former Costa Rican National Champion, and multi-time Top 16 finisher, but he never quite hit the stride he knew he could. He left the game for about four years, and many of us thought we wouldn't see Carlos again. But he came back this year and was looking to right the missed opportunities of the past. After solid, if-unremarkable finishes, he locked up captaincy for Costa Rica's World Magic Cup team after a whirlwind trip to Grand Prix Stockholm. It seemed like he was at least back to pal, I mean, par. And then this weekend, he finally broke through and got that first Grand Prix Top 8. He went 8-0, then lost to Sam Black for the undefeated slot at the end of Day 1. On Day 2, he just hung in there. 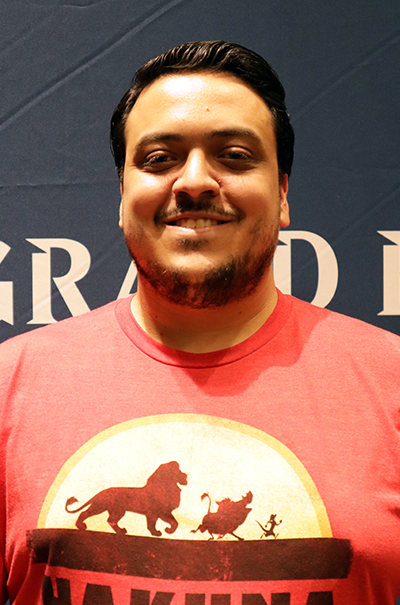 He was in the pod of death both times, and grinded the rails winning his last match—and fading the nail-biter tiebreaker Top 8 announcement. 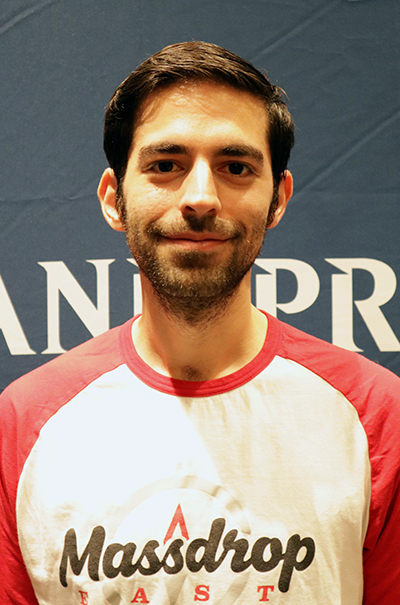 Now he's not only attending the World Magic Cup, but the Pro Tour as well. Expect Pal to pop up in your pairings pretty soon. It feels like just yesterday that we were talking about famed Magic Online player “Jaberwocki” making the successful transition to paper tournaments. Oh yeah, that was basically yesterday, when he won Grand Prix Los Angeles—his first individual Top 8. Now he's made back-to-back finals appearances, losing only to eventual champion Mark Jacobson in the finals. Even though he lost, he was all smiles afterwards. He had been toiling with trying to make a late-night flight throughout the Top 8, and once he made the final round, he gave up the ghost. He chuckled desleeving his cards after the match saying, “Oh, I'm doing fine. After the draft I was like ‘Man, I'm gonna make my flight.'" His deck was one of the four Boros decks that were all sharing the limited resources. It was a heck of a weekend for Sam Black. Extreme highs to extreme lows, back to highs, then ending on a low note. Black was the sole undefeated player at the end of the first day. After the day was finished he joked that because the tournament was so small, he could 0-3 the first draft and still make the Top 8. Well, that's exactly what he did. But being Sam Black, he bounced back and won the first two in his second Draft to make it to a win and in. He was paired down against Lance Austin who wasn't in contention for Top 8. Black was certainly in an advantageous position with a lot on the line, but Austin was also playing for something—he's two points away from his first ever Silver status. A win in Round 15 would get him halfway there. After a hard-fought round, Austin won and kept Black out of the Top 8. Black wasn't feeling great afterwards, but he still admitted that it was an interesting weekend. The return of the return to Ravnica release weekend was a rousing success. And as the original Ravnica established, the Draft environment is always interesting. The first thoughts of the set are important, but those initial impressions can often fade as a better understanding of the format evolves. As far as guild ranking goes, players are high on both Dimir and Boros near the top, with Izzet next, Selesnya a close fourth, and a bottom out for Golgari. As Ben Friedman put it, Golgari's “ceiling isn't as high as the others, and the floor is probably lower." But that hasn't proven quite accurate across the board, so let's take a closer look. It's a bit hard to disagree with Boros and Dimir near the top. Their objectives are clear, their mechanics work synergistically and are on pretty overtly powerful cards. Check out Peruvian two-time Grand Prix–Top 8er Francisco Sifuentes's 3-0 Dimir deck. It was the talk of the pool, with all the other players whispering their fears of having to go against it. Sifuentes saw three Dimir Spybugs in the first pack, which pretty clearly solidified his direction. But don't think that's all reading signals—he first-picked one too. Or even Izzet, piloted by Las Vegas's Rob Pisano. He called his deck “Five great four drops and the roleplayers that make them work." Pisano loves Jump-Start in general, and this deck capitalizes on that in spades. “I love the idea of turning excess land into additional spells," he said. 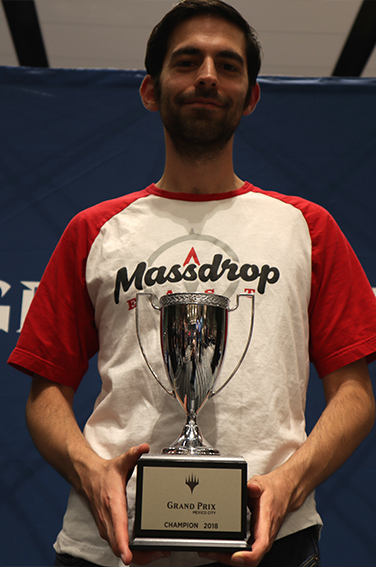 Pisano went on to discuss the two different flavors of Izzet, the aggro and the midrange. The key card that really differentiates the archetypes is how much you love Sonic Assault. For the more consistent spell-centered midrange deck, like the one Pisano has, Sonic Assault isn't all that great—tempo isn't king here. “I passed one because it just wasn't going to be good in this deck," Pisano said. Instead, get the spells-matters cards like Crackling Drake and Murmuring Mystic, then the sorcery- and instant-based removal to get you there. “Jump-start is the most important," Pisano said. You can afford to play “fine” Jump-Start cards like Radical Idea, because they still get the job done. Contrasting to that is the all-out Izzet. “The very-fast one is where Sonic Assault is great—the one that loves Beamsplitter Mage," he continued, “you take all the Maximize Altitude and Sure Strikes, and run over them ... there Sonic Assault is the perfect card." “Oh, I've definitely turn-four'd people with that deck before," Pisano said on whether the archetype plays. But it's not without its struggles. “The deck's harder to come together," he said. Even though much of your deck is made up of cards few other drafters take, the key cards—premium red removal for example—is at, well, a premium. “Also, this deck needs two drops. That's why the Beamsplitter Mage is so key." If you're looking for the deck, Pisano said the early signals can be there. For him, as early as Pack 1, Pick 2 he planned to move into Izzet. “I was passed a Beacon Bolt, and the rare was still in the pack." Though second-pick is pretty early to dive into a two-color card—especially one that's so restrictive—Pisano said that it's mitigated by the amount of fixing in the format, and the rare still in the pack weighed heavily in the decision. “I know he didn't take a bomb, and with the Beacon Bolt still there, it definitively wasn't an Izzet card. Plus," Pisano continued, “Izzet can support two drafters at a table, especially because of the two different styles." So the blue-based colors are pretty fantastic, clearly. But don't count the green-based strategies out! But all this attention to the blue- and red-based guilds has given green and unfair shrift. This was never more evident than the first Draft. Multiple Golgari decks went 3-0, and the decks looked sweet as Hell-kite Overlord. I sat down with both to talk about the underloved undergrowth guild. Though they both agree that it probably is near the bottom of the guild ranking, that doesn't mean the color doesn't have great play to it. “This was the first time I ever drafted Golgari," Jacobson admitted. “Some of it I attribute to the sample size results, and some to my first instinct that green is bad." Though he still isn't sold on the guild after one 3-0, he changed his drafting and building strategy to keep its weaknesses in mind. 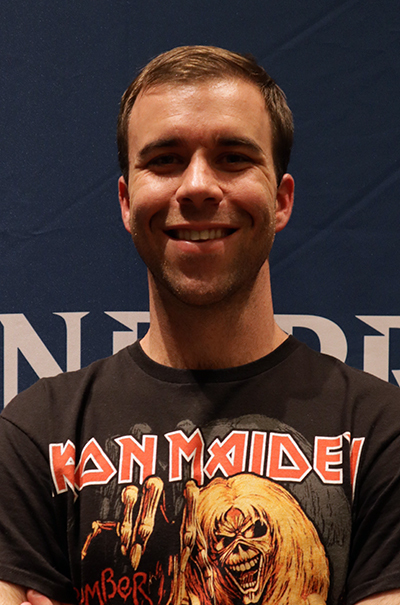 “I took a lot of strong sideboard cards, and also changed my main deck to not be as soft to a few specific strategies. He went on to say, “the three specific types of weakness I was looking out for: hyper-aggression, flying creatures, and decks trying to go over the top of me." Despite his success, it didn't change his opinion on the color pair yet. “I don't think this is a typical Golgari deck—it had all the strong gold cards," Jacobson hedged. Corey Burkhart felt similarly, that his deck wasn't indicative of the average Golgari deck, but he's a bit less dismissive about the guild. He sees the power—it's just possible we haven't cracked the undergrowth nut yet. “The average card quality is the lowers, but it uses bombs the most adeptly," Burkhart started. He'd thought a lot about this, because he planned to be green this weekend. “I've been drafting on Magic Online, and when you get to five cards left, there are still great green cards. I'm not saying like pretty good. It's like Siege Wurm and Prey Upon—actually good cards." So Burkhart realized he could use that to his advantage. If you remember Battle for Zendikar Draft, every pro on earth decried green, and then the color took home two of the three Grand Prix trophies—because everyone else would avoid it, and one person would have the optimized green deck. Burkhart wanted to prey on this weakness, and reap the rewards Black and Green offered. Burkhart continued, "[Players] are avoiding it like the plague, and I think it's because the other's guilds cards are very obviously powerful on their face ... like, ‘Holy crap, this is good.'" But the power in Golgari is more hidden. “You look at a 3/2 for three and you're like ‘What even is this?'" “You are playing long games on average and your deck is set up to play long games... Eventually I'm going to overpower you with a bunch of doofuses." On tips for playing the deck, Burkhart's biggest piece of advice was clear: “Be willing to play into combat tricks." See, this is another area of slightly counter-intuitive play, where week-one analysis might not quite reach. “And every time you can block, you probably should ... because even if they do play their trick, you get a little smile as you bin your creature, knowing that it traded for like, a Sure Strike or something, and you're still adding to your long-term strategy." Now, these Golgari decks is still not without its caveats. Both Jacobson and Burkhart first-picked Izoni, Thousand-Eyed. And though Jacobson hedged picks into Dimir, trying to stave off the inevitability of his Golgari alliance, Burkhart had a more measured thoughts. “Look, it is definitely the [guild] most dependent on the actual cards opened—sometimes the good rares and uncommons just aren't there," so there is a risk in taking that first big Golgari goodie. But, Burkhart explained, that risk is at least partially mitigated because no one else (currently) is playing Golgari. So if the cards are there, you'll get them. Now, the nature of draft is to be self-correcting, which is one of the reasons why it's so wonderful. Perhaps if people start actively drafting Golgari, it's power becomes diffused among multiple decks, then both will live up to the current expectation of the guild. But even that isn't necessarily true, as Burkhart defeated a Golgari mirror in the finals of that draft pod (though admittedly, they both had Izoni). Perhaps as Golgari deck builders learn to shore up their weaknesses like Jacobson did, and changes the plan patterns to always play for the long game, like grind-master Burkhart did, maybe the future is brighter for the guild than the underrealm makes it seem. Speaking of Mark Jacobson, he did something else pretty awesome this weekend. He won the whole kit and caboodle. The Californian has been integral to every team he's been a part of. He's meticulous, he's articulate, and he's good. But until today trophy-level success eluded him. 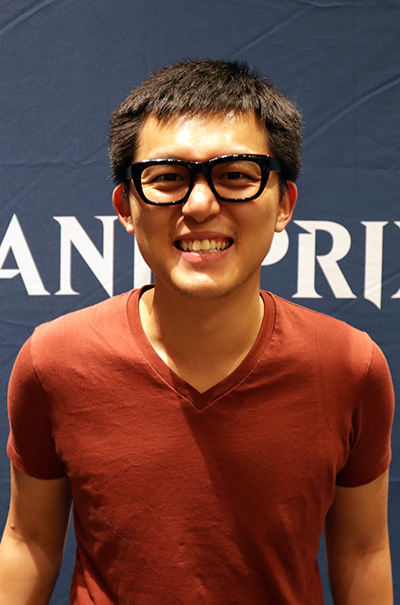 But on his sixth time to the Grand Prix Top 8, he finally finished higher than third—a spot he's achieved three times. And he did it in style too. His awesome Dimir deck, with barely a win condition to its name, surveiled the scene and cruised to victory. After he beat Logan Nettles in the finals, Nettles turned to him and said, “Your deck is, like, awesome. You have so few creatures." It was a sweet feat and sweet way to end the weekend for Jacobson. Mark always has a sly smile on his face, but there's some real depth to it now. He's extremely happy. And he should be.